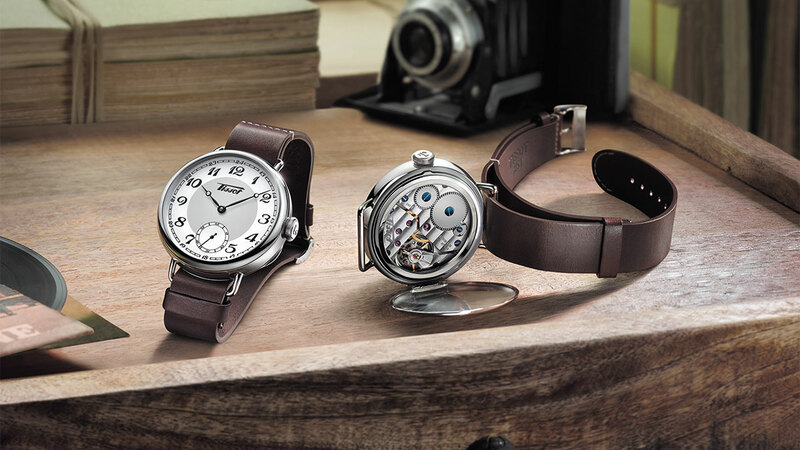 Tissot delves into its history with a watch whose dandy aesthetic reinterprets a timepiece which the brand proposed in 1936. 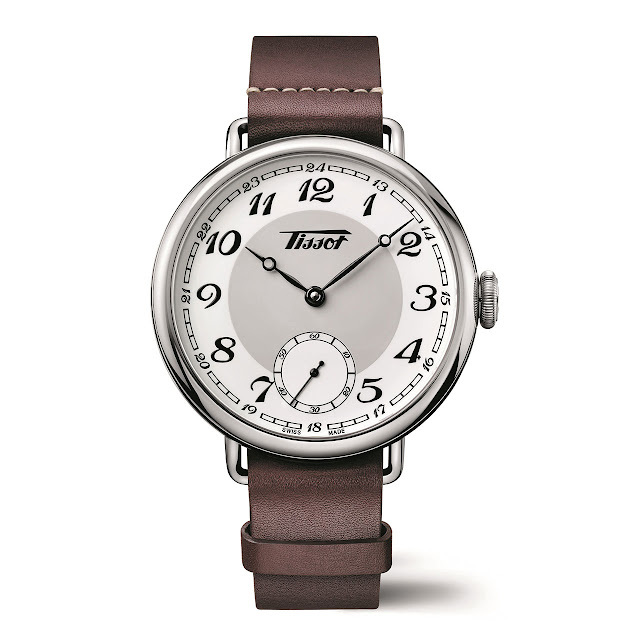 Perhaps the most striking feature of this new Tissot Heritage 1936 is the imposing diameter of its steel case. Slipped under this case is a rugged brown leather strap, a reminder of and a homage to the very first wristwatches. These were in fact pocket watches, with arches welded to them so that a leather strap could be slid under the back of the case. Now Tissot is reviving this highly original concept. When the strap is removed, the caseback can be opened to admire the myriad details of the hand-wound movement which marks the hours, minutes and small seconds with a remarkable sense of elegance and vintage style. Mechanical hand-wound, 42-hour power reserve. 316L stainless steel, 45 mm. Sapphire crystal. Water-resistant to 5 bar (50 m/165 ft). Small seconds at 6 o'clock.